It is 1789, and three young provincials have come to Paris to make their way. Georges-Jacques Danton, an ambitious young lawyer, is energetic, pragmatic, debt-ridden - and hugely but erotically ugly. Maximilien Robespierre, also a lawyer, is slight, diligent, and terrified of violence. His dearest friend, Camille Desmoulins, is a conspirator and pamphleteer of genius. A charming gadfly, erratic and untrustworthy, bisexual and beautiful, Camille is obsessed by one woman and engaged to marry another, her daughter. "Historical" diatribes posing as a novel. 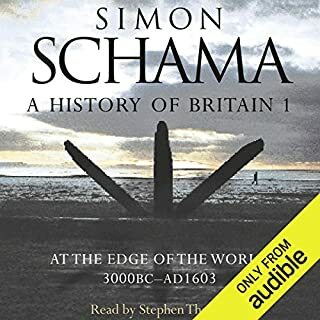 Simon Schama is a professor of art history and history at Columbia University and is the author of numerous award-winning books; his history Rough Crossings won the National Book Critics Circle Award for nonfiction. He has written and presented more than thirty documentaries for the BBC, PBS, and the History Channel. 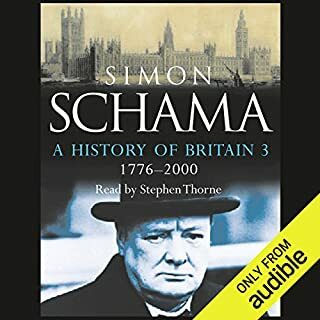 ©1989 Simon Schama (P)1990 Blackstone Audio, Inc.
What disappointed you about Citizens? The narrative is spectacular! But as another reviewer noted, the audio file is defective. Mine conked out leaving the last 1/4 of the book inaccessible. Hey Audible, how about fixing it! The audio sounds like it was ripped from a scratched CD. At first it's only occasional, a minor annoyance. Later, though, it becomes more frequent, to the point where sentences and paragraphs can't be made out. 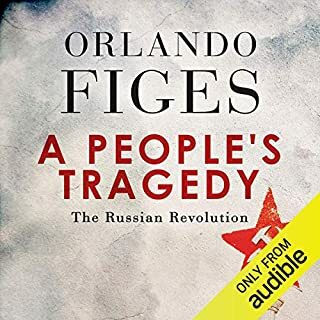 I've tried it on different devices, and the skips are in the same place, so the problem is on Audible's end. This is a great book. However the audio skips! What would have made Citizens better? Fix the audio. I am reluctant to return this book as I really want to listen to it. However, the skipping of the audio becomes more and more annoying over time. Please fix the audio on this book! It is a real disservice to the consumers who purchase this book. This recording was obviously made by tranferring audio from a set of vinyl record disks. Whoever did it must not have cared or paid much attention. The needle skipped hundreds of times. Each skip abridged the reading by about 8 words. So much was missing in parts, I couldn't really understand the material. Why the attrociuous lack of quality control? 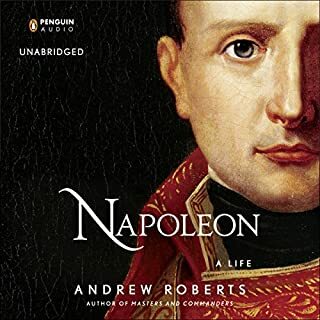 The audio quality, for what is a great book, is embarrassing. Between audio that skips throughout, a low quality recording, and audio artifacting, it's nearly unlistenable. The narrator does a fine job himself. It's the circumstances around the audio that is the problem. Periodically the recording just skips forward or backwards at a whim. The recording ranges from quiet to very loud at a moments notice, especially when the narrator hits a plossive. And any time a soft 's' is emphasized it's ear splitting. 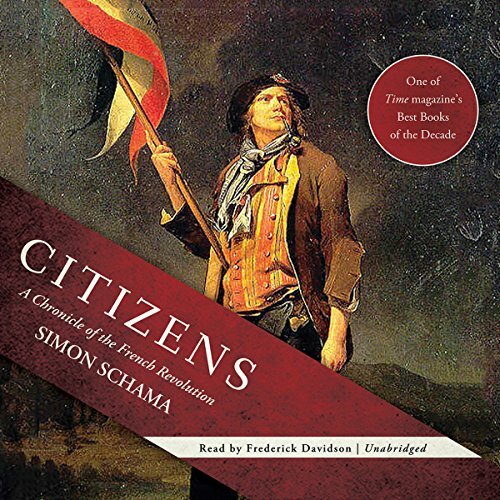 Schama emphasizes the great personalities involved in the French Revolution: this is the place to go for full portraits of the vacillating but sometimes courageous Louis XVI; for the puritanical Robespierre; the devilish Marat, with his repulsive skin disease; and calculating opportunists like Talleyrand. It's also the place to go for stomach-churning descriptions of mob violence. I'm writing this in the wake of recent terrorist attacks in Paris; and I hesitate to say this because of the timing, but Paris is no stranger to the savage violence of the mob on people perceived as enemies. Once killed by a Paris mob, the victim's body was likely to be torn apart - literally - with parts paraded around the city on the ends of pikes. Heads were being removed as trophies by ordinary people for years before the guillotine made the process systematic. The king was at Versailles; a mob stormed the palace, killed and beheaded his defenders, and forced him to move to his palace in the city, the Tuilleries, where they could keep an eye on him. Later that palace was stormed by a mob, who killed and beheaded his defenders, and forced him to take refuge elsewhere. Later still, this place of refuge was stormed again, with even worse butchery, and he was tried and condemned to the guillotine. Schama doesn't focus exclusively on this aspect of the revolution. 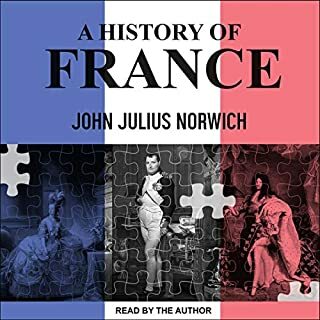 He gives full play to the political history of the various factions: the Montagnards, the Girondins, the Jacobins; and to the successive waves of political and sometimes physical extermination carried out by one faction against another. The Revolution was self-consciously symbolic and declamatory, and it made for magnificent "scenes" of political debate. Doesn’t play correctly, skips syllables every minute or so. Extremely distracting to listen to. Charming performance if only it played back properly. 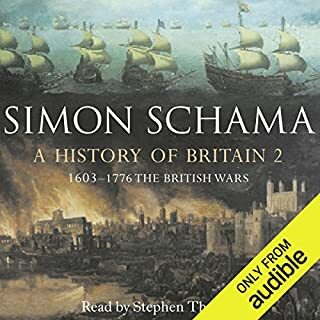 This audiobook seems to have suffered from a bad recording or transfer and skips quite frequently! I’ve tried on two devices, but I think it’s the recording itself! I thought (or imagined) that I possessed an understanding of the French Revolution. Then (quite tardily) read Citizens. The effect of this read has immeasurably deepened my understanding and greatly enhanced my mental images of the era. One would have thought that the publisher would have hired a reader who could speak, or at least, pronounce French. Worse, when he reads quotes by historical figures, he often affects an absurd accent that sounds like a Monty Python German. The rest is read in a kind of upper class English whine.